The polyploid Salix alba–Salix fragilis hybrid complex is rather difficult to study when using only morphological characters. Most of the characters have a low diagnostic value for unambiguously identifying the hybrids, introgression patterns and population structures. Morphology and molecular variation determined with random amplified polymorphic DNAs (RAPDs) were investigated in a set of staminate and pistillate willows from Belgium. A thorough screening of possible RAPD markers was done to select homologous amplification products. The selected amplified products proved to be useful in a principal coordinate analysis for the identification of individuals from a morphological continuum comprising presumed pure species and introgressants. The RAPD based identity of the individuals or clones was checked against those based on morphological characters. A correspondence analysis indicated that all pubescence related characters were associated but separated from the size related characters. The RAPDs also revealed that the S. fragilis genotypes mainly consisted of staminate individuals whereas most of the pistillate trees belonged to the S. alba genotype cluster. It was suggested that both species have kept their gene pools well separated and that morphologically intermediate plants are not necessarily genetically intermediate. 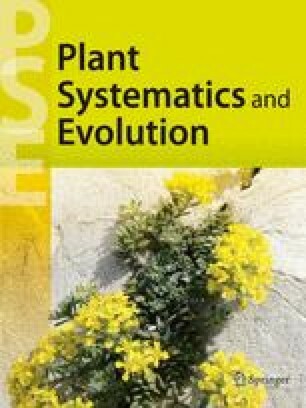 Key words: Salicaceae Salix alba Salix fragilis morphology RAPD individuals hybridization evolution.